So, I used an Electricity Usage Monitor to measure exactly how many watts everything in my house is using. You can purchase one of these for $25 but I posted the request to my local Buy Nothing group and a neighbor happened to have one, so I borrowed it instead of buying it. Woot! I hear that some utility companies may lend out those meters and a reader told me her library has it available to rent, too! 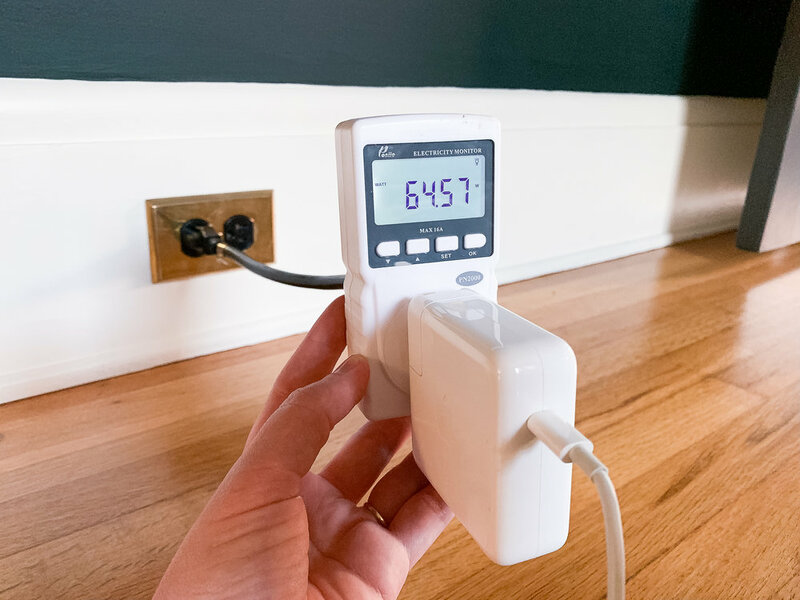 The device plugs into an outlet, then you plug the electrical item you want to measure into the meter. You can measure the watts that it pulls at any given time, or the kilowatt hours it uses over the course of a period of time (it also measures voltage and some other stuff I didn’t need/understand). 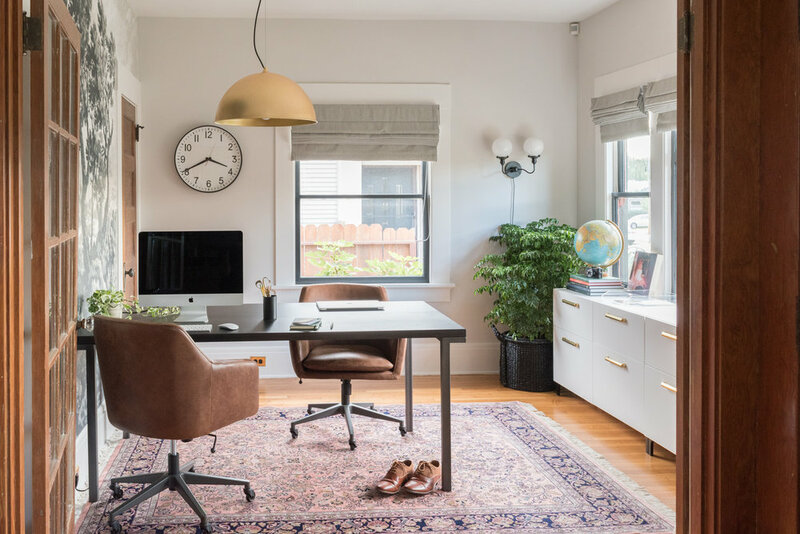 This way, you can measure, say, your hair dryer when you’re using the low power and the high power to compare the two, or plug it into your refrigerator to measure its cumulative energy usage as it cycles on and off throughout the day. For more info on how it works, you can refer to the manual if you’re into this sort of thing. Ross and I went around the house and measured EVERYTHING that plugged into an outlet. 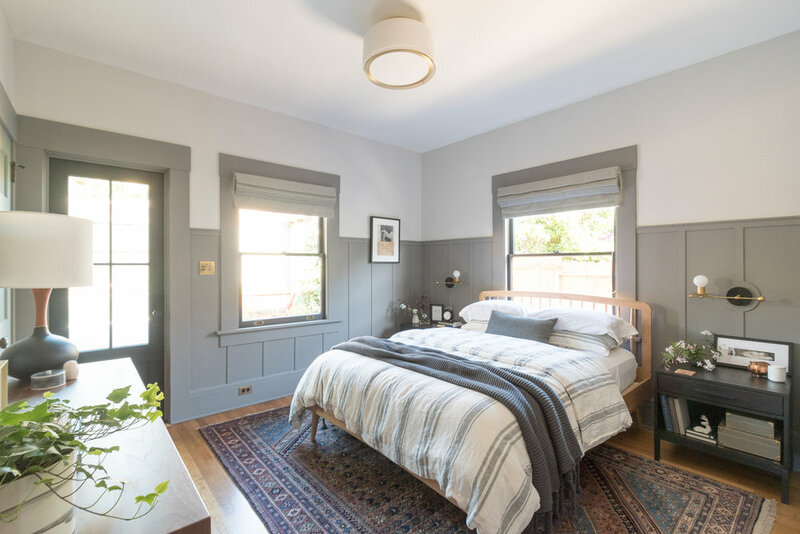 Unfortunately, we can’t measure things that are hardwired, like our overhead lights and, of course, we didn’t measure things that run on gas like the stove, furnace, and hot water heater. We did, however weasel into tiny nooks and crannies to unplug the washing machine and the dishwasher to measure those appliances. Here’s how everything stacked up. Note: this is with everything at maximum power and in use. Remember, energy consumption is based on the amount of time the device is powered on. So, drying my hair for a few minutes will have less of an impact than having the outdoor lighting on for many hours. But, it does make me second guess that hair dryer - luckily I never use it, maybe once or twice in all of 2018? I’m already on track to get rid of the microwave. I estimate we only use it a couple of hours a month and that’s just out of habit. Remember that even when it isn’t in use, it still pulls power to run the clock. I noted here that our clothes dryer is gas powered, but you can see it does pull electricity - more than I would have thought, actually. You don’t see our furnace or hot water heater listed because they are gas powered. The fridge runs in cycles throughout the day, so it’s best measured in kilowatt hours. For this graph, I measured it in watts when it was at a lower cycle, which is how it operates most of the day. For reference, it uses 1.5 kWh per day. The TV has a range of use, so this is difficult to chart. Super bright scenes pull more power than dark ones. So, maybe we should just watch Ozark to conserve energy. All of our lamps are LEDs which is how they stay low in energy. The vintage globe lamp in my office isn’t LED because I haven’t opened it up to replace the old bulb. I was surprised and oh-so glad to learn that when my vacuum is fully charged, it shuts off power and doesn’t draw from the outlet constantly (much like how the microwave works). You’ll notice we don’t have a coffee maker, and that’s because I have this great little french press. 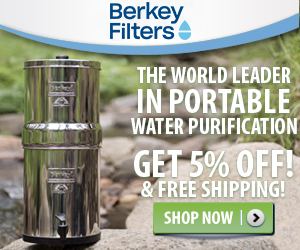 A traditional coffee maker can use 600-1200 watts - woah! And a Kuerig uses 1500 at its max and 200 continuously. Energy-free and plastic-free coffee is my preferred method. Everything else uses very little power. This is the beauty of newfangled technology! Speaking of which, this had me thinking about our kitchen renovation and I wanted to compare our existing appliances to the ones we plan on getting. Take a looksy at the graph below. Wow. There’s a lot to look forward to with the new fridge and new dishwasher! 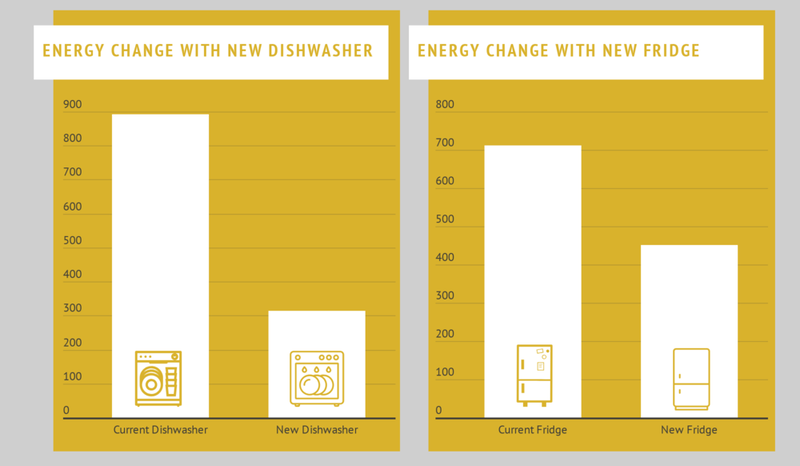 Granted, these are estimations based on manufacturer information and they may not account for the number of loads of dishes I like to run or how often we open the fridge. But still - exciting! 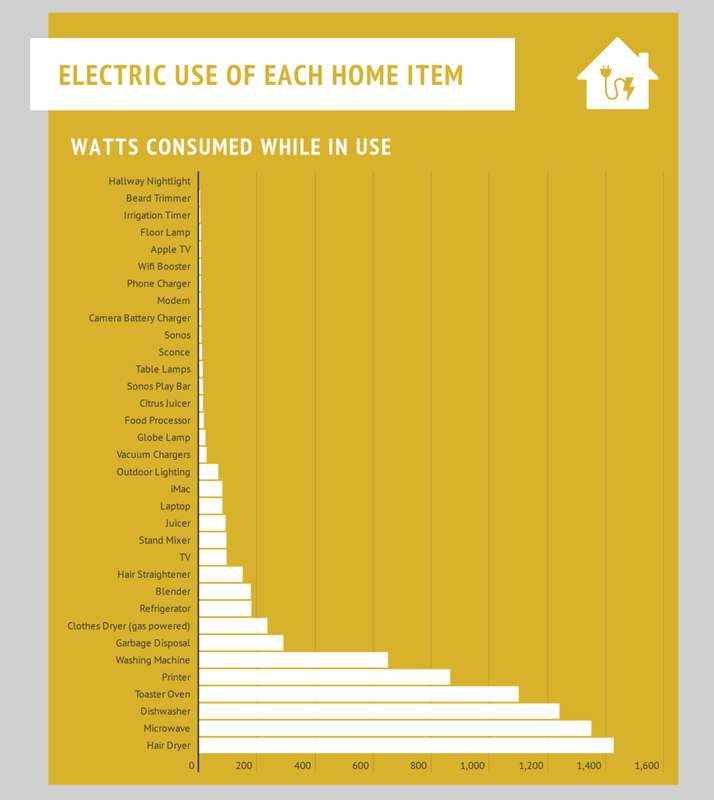 That first bar graph of each item isn’t an accurate representation of what uses the most power - because we don’t run the hair dyer all day, but we do turn the lights on every day. So, since I was already knee deep in math and graphs (I LOVE graphs) I put together one to look at our cumulative electricity usage throughout the year. That darn fridge is definitely the neediest energy hog because it’s on 24/7. It’s no surprise that our A/C uses a lot of energy, too. Note that we only run this in the summertime, so this is an average that I plopped in for annual usage. The more I look at this, the more I think about how much power we’re using. Luckily, there are graphs for that, too! The below charts represent our consumption in kilowatt hours (kwh) which is the best way to measure consumption over a period of time. Compared to the national average, we are relatively minimal consumers. Our home is just 1,400 square feet, there’s only two of us, we travel a decent amount so we aren’t home to use things, the lights are all LED, and our electronics are new so they’re more efficient. We don’t have gaming consoles, can lights, DVD players, ceiling fans, pools, space heaters, garage openers, electronic toothbrushes, clock radios, stereos, coffee makers, fancy kitchen gadgets, nor hot tubs. 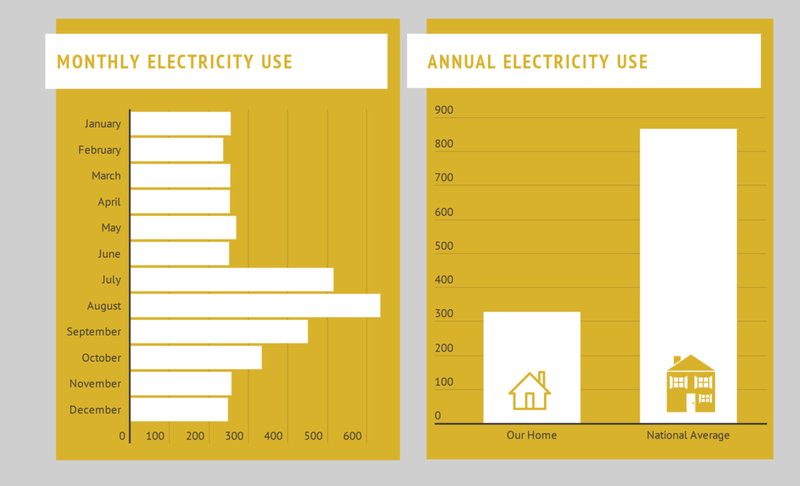 The biggest factor for our more minimal electricity consumption is that our furnace, hot water heater, clothes dryer, and stove/oven are all gas powered so they don’t draw electricity. Because we don’t use much power, adding solar hasn’t been something that made much sense for us. Even when we asked solar companies for quotes, they wouldn’t bother entertaining us as customers because we didn’t consume enough to justify it. BUT! With the addition of an electric car, we’re going to be pulling much more energy and we want it to be green energy. So, solar is being installed this week - we’re so excited! All this to say that I love analyzing our home and getting a good grip on how it works. Plus, you can too, with the trusty meter. Also, my utility company sends me weekly and monthly utility consumption reports. They share how many kilowatt hours we used each day and then chart it out over the course of a month. They don’t break down each device nor category, only you can measure that. But, I encourage you to sign up for your utility company’s energy metering emails and while you’re there, sign up for paperless bills to cut back on paper waste, too! You’re welcome to leave comments if you have questions about how I did the math or are curious about the process. 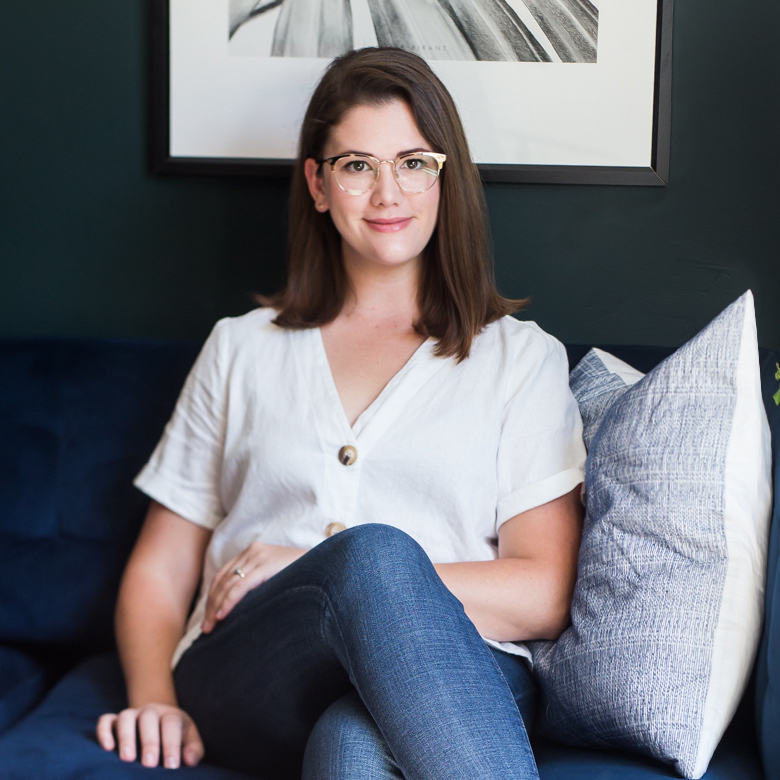 If you’re keen on thinking about how to make your home more energy efficient (beyond just electricity consumption) check out my list of ways to make green energy improvements at home. Then, stay tuned for when I share our solar panel installation project!